I’m sharing a delicious and healthy salad with you today! Salad? In Winter? Oh yes! There’s nothing wrong with some salad. You don’t even have to eat a bunch of it! We had a project at school to make a magazine. This magazine was for Oscare, a burn centre in Belgium. I wanted to make recipes to put in our magazine. So I called a friend, who studied dietetics. She gave me a list of foods and vitamines that are good for the healing of burns. I searched for recipes I wanted to put in our magazine and adapted them to the needs of the patients. So this particular recipe is completely adapted to the health needs of a burn patient. Of course they need other foods too, but this is one of the recipes they can use. Clean the lettuce and cut the leaves in strips. Peel the cucumber and the avocado’s. Cut the cucumber in half and scrape out the seeds. Cut the smoked salmon in strips. Cut the cucumber and avocado’s in cubes. Sprinkle the avocado’s with lemon. Put everything (except the salmon) together and spice with pepper and salt. Divide everything over four plates. Dress your plates with the salmon. I hope you guys enjoy this little salad. I’m sharing this recipe with my friends! Find out here where I party! This is delicious! 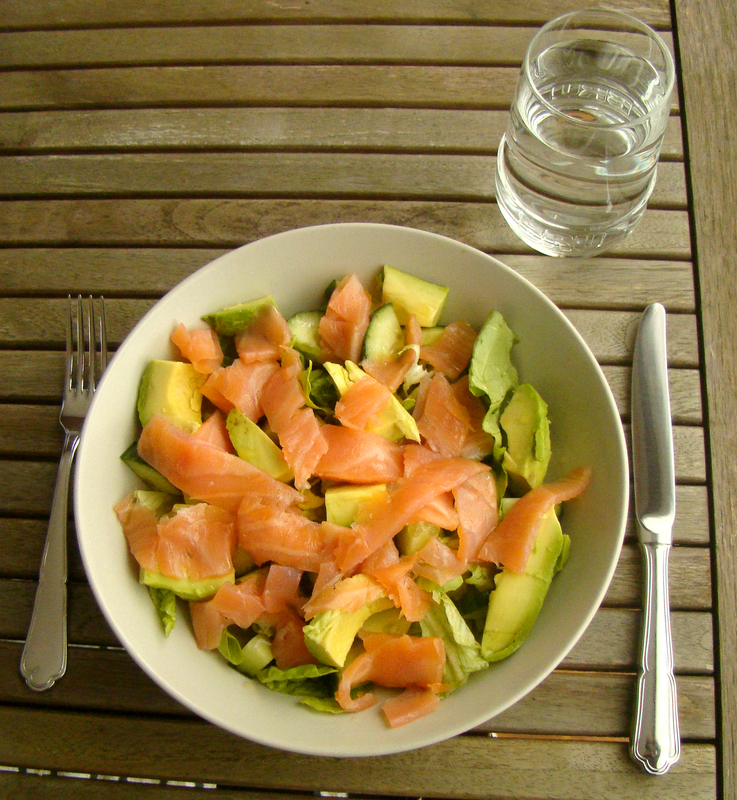 As you can tell by my posts, I’m a big fan of salmon and avocado as well! Definitely worth giving a try! Smoked salmon is one of my faves! This salad looks delicious! Love this simple yet nutritious salad! Salads are great all year round–this looks so good! 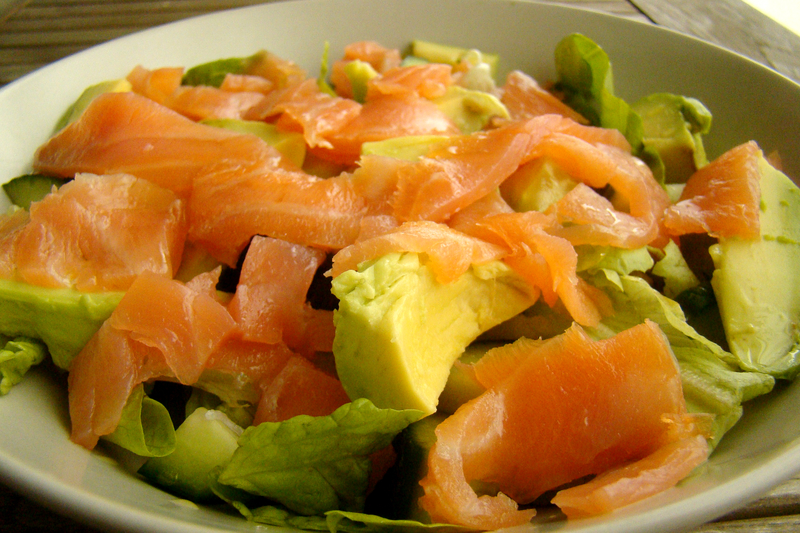 I love salads any time of year, especially if they contain salmon and avocado, yum! Yes, yes, yes!! Looks delicious – and exactly the sort of dish I need to help get my cholesterol under control. SO pinning this!! Thanx! I think salads are great in any season! Plus, I love salmon 🙂 Pinned and tweeted! I love eating salads during winter too! 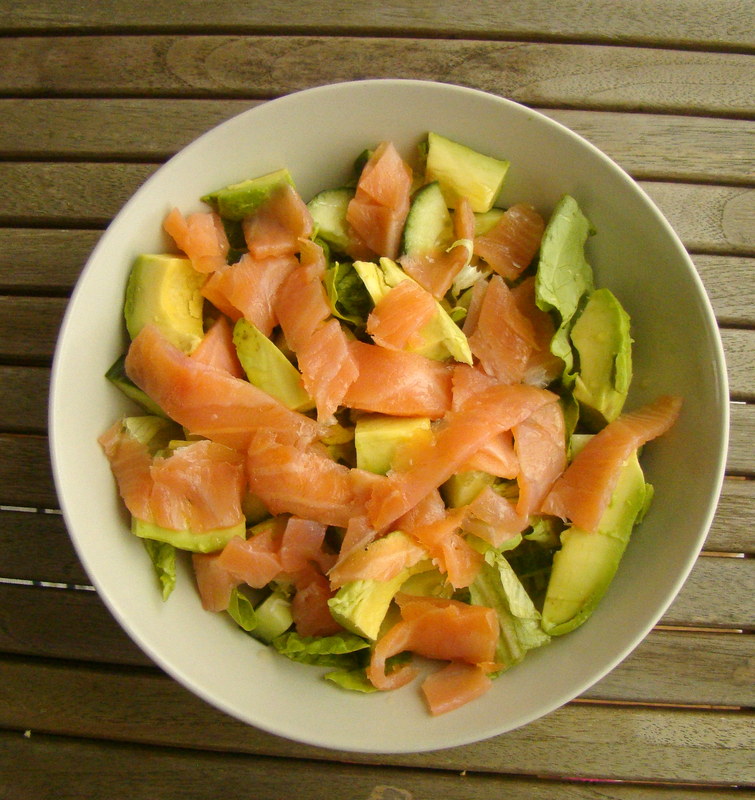 🙂 Plus Salmon and avacado are a match made in heaven… Love this recipe Sarah! I really need to go and buy some smoked salmon!